Leadership skills in virtual teams are different to leadership skills needed in a co-located team. Leaders of co-located teams need to be able to inspire and direct a team they see around them every day, they can lead by example and by modelling in ways that all of their team members can see visually each day. They develop their communication skills to be effective in face to face environments and in casual discussions around the office, their external communication skills are typically honed around dealing with suppliers, subcontractors and clients. Virtual team leadership skills however are more complex, the leader of a virtual team must be able to inspire and lead their team without meeting them, without seeing them each and every day and without being able to model appropriate and desirable behaviour in a physically visible way. The effective leader of a virtual team must also be able to deal with higher levels of ambiguity, understand and lead across cultural boundaries and lead a distributed team of personnel who, themselves, may never meet and relay on communicating using electronic media. In short, the skills required to effectively lead a virtual team are all those of a leader of co-located personnel with many additional skills added on. The first thing leaders of virtual teams must do is see themselves as leaders as well as managers. Managers roles involve ensuring the business aspects of the team’s work are undertaken correctly, that timesheets and documentation are delivered correctly and on time and to ensure the right skills are made available to the project at the right times. All of these activities still need to be undertaken, and often are done or overseen by the leader, but to be an effective leader you also need to see yourself as a leader and take responsibility for setting the culture, tone and pace of your team. Your team will look to you for guidance and leadership more than they will look to you for management and, you need to make sure you do not disappoint them. So, just what are the key leadership skills a virtual team looks for? Be consistent – nobody enjoys working for a leader who is constantly changing their mind on things or behaves unpredictably. Personnel find themselves on edge, always second guessing an unpredictable leader, as they struggle to deliver what they think the leader wants. The answer is to be predictable, to set clear and well understood processes, practices and behaviour and to both model them and look for them in the rest of the team. These practices also need to be culturally and regionally sensitive when working across cultural boundaries, meaning that the leader of a broadly distributed virtual team also needs to be seen differently by different parts of the team. This need to have several subtly different cultural “personalities” can be challenging for many, but fundamentally these different personalities all need to be honest facets the leaders natural personality. Be supportive – an effective leader of a virtual team must be supportive of their personnel regardless of their location and role. The leader must neither actually or by perception be seen as having favorites and must support their entire team. This can often mean giving different support to different parts of a team dependent on their local needs and pressures, so the leader needs to fully understand the differing needs of their team at all times. 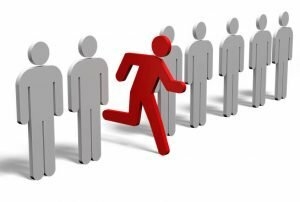 Be prepared to lead from behind – it is often natural for leaders to want to lead from the front, to be seen heading a task force or a new initiative within their project or business unit. While this is completely appropriate in many situations and cultural settings, the effective leader of a virtual team also needs to be able to lead from behind when appropriate. They need to give their personnel real, meaningful tasks and leadership of their own then support them as they perform their work. Stepping in, in visible ways, to influence the work of these personnel can be very destructive to team morale as it undermines the status of those who believed they had been entrusted with tasks. Be empathetic – as an effective leader of a virtual team you need to develop empathy with each of your team locations. You need to understand the challenges personnel at each location face in delivering your work and support them in appropriate ways. Each group will face different difficulties performing their working, for some it will be delivering work in the time allocated, others may be frustrated by specific meeting times if they are working across multiple time zones, yet others may face language or cultural challenges. Each group’s challenges need to be understood and addressed appropriately to get the best overall results for your project. You need empathy to understand they they all need different forms of support. Empower your team – regardless of the cultural setting of your virtual team there are always ways you can empower your personnel. Personnel from some cultures will actively seek out empowerment and opportunities to drive large parts of a project while others will have lower levels of expectations but still will seek out ways they can contribute in ways that give their role greater meaning. Once again, the leadership skills of someone overseeing a virtual team need to be tuned in to the nuances of the cross cultural and complex nature of their team to ensure they get the best from all of their personnel. Understand cultural differences – one of the most important virtual team leadership skills is to have a deep, well developed and open understanding and awareness of the cultural differences that make up their team and the environment the team operates in. This cultural understanding will typically be developed over many years of experience and, through an open and unending curiosity for life and people. Effective leaders of virtual teams can typically move comfortably between cultures, aware that there are differences between the lenses through which everyone sees the world and, that even where they are in unfamiliar circumstances, they are able to function effectively. Model best practice – regardless of their role in a team, an effective virtual team leader can and will model the best behaviours and practices. They will be open to approaches from their distributed team colleagues and will be both culturally sensitive and situationally aware such that they are able to get the best from their colleagues wherever they may be. Typical of this behaviour is to react with control when different issues arise that those who are less sensitive to their cultural situation may react in unfavourable ways. Be curious – along with all of the other attributes, an effective leader of virtual teams will be curious, they will be curious about people, about cultures and about the challenges faced by their colleagues all around their team. This curiosity will be demonstrated in ways that are sensitive and compassionate to the expectations of these colleagues and will serve to give the effective leader a deeper and more nuanced understanding of the challenges faced by each and every member of their team. All of these attributes combine to make the effective leader of a virtual team so much more than a manager, they are at once a friend, a colleague, a guide, a mentor and a coach. Someone who is naturally trusted by all of their distributed team colleagues to be an active and supportive part of their project.